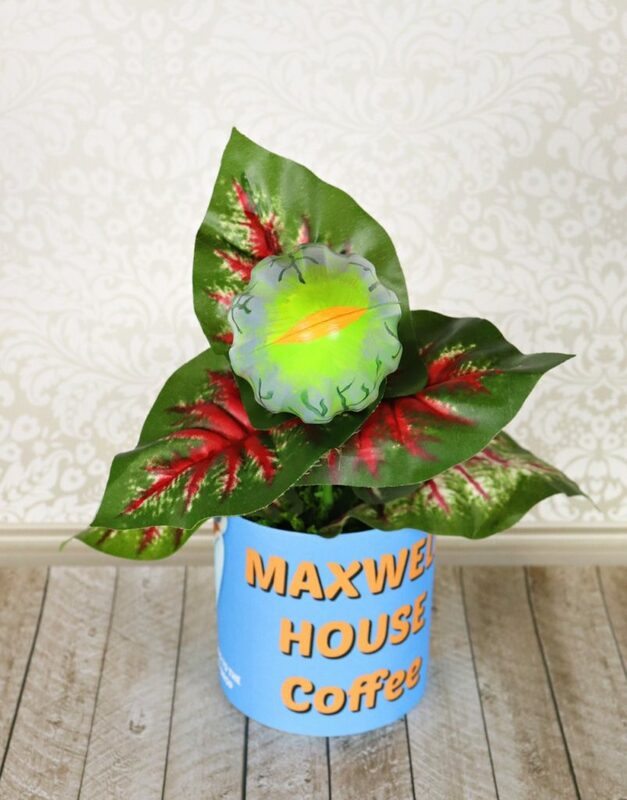 Are you a fan of the comedy musical “Little Shop of Horrors”? Even if you’ve never seen it, surely you’ve heard the line “Feed Me” or seen some version of the carnivorous giant plant, Audrey 2! 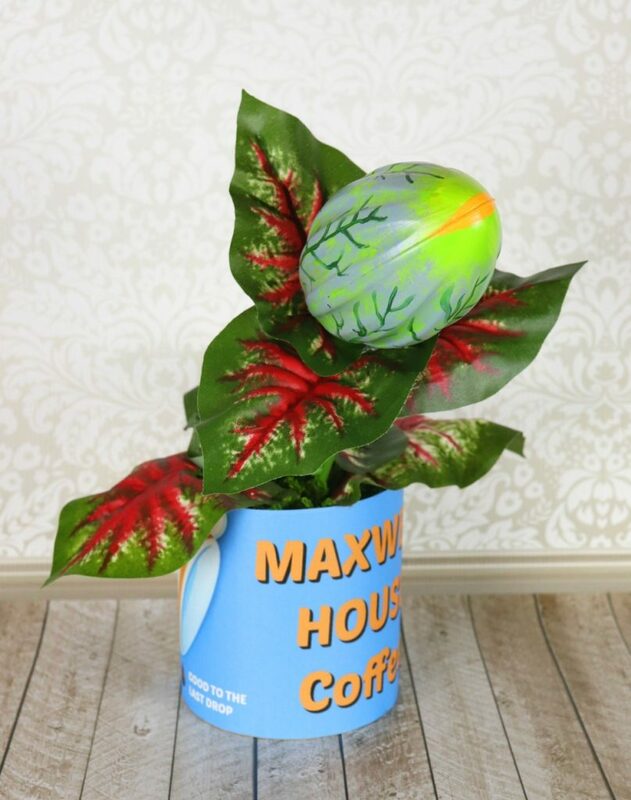 Before Audrey 2 became a humongous man eating plant, it was a cute little bud in a coffee can. 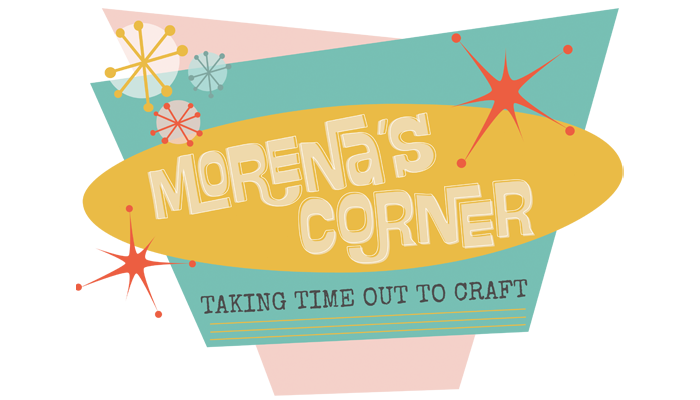 I’ve recreated the younger, littler version of Audrey 2, complete with a printable label that replicates the can from the movie. 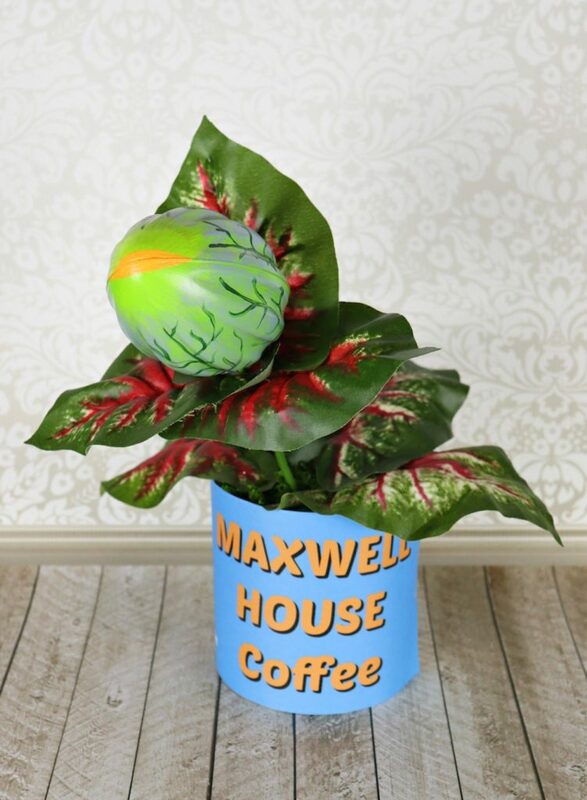 Here’s how you can make Audrey 2 decor or costume prop. 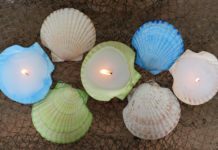 I used a plastic stem that I saved from an arrangement, but you can also paint a craft stick green. 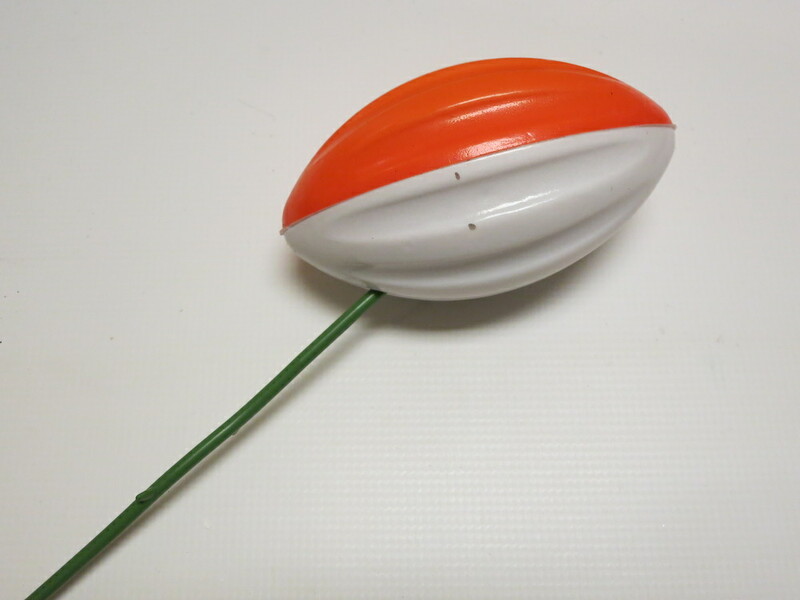 Place the stem inside the base of the foam football at an angle. 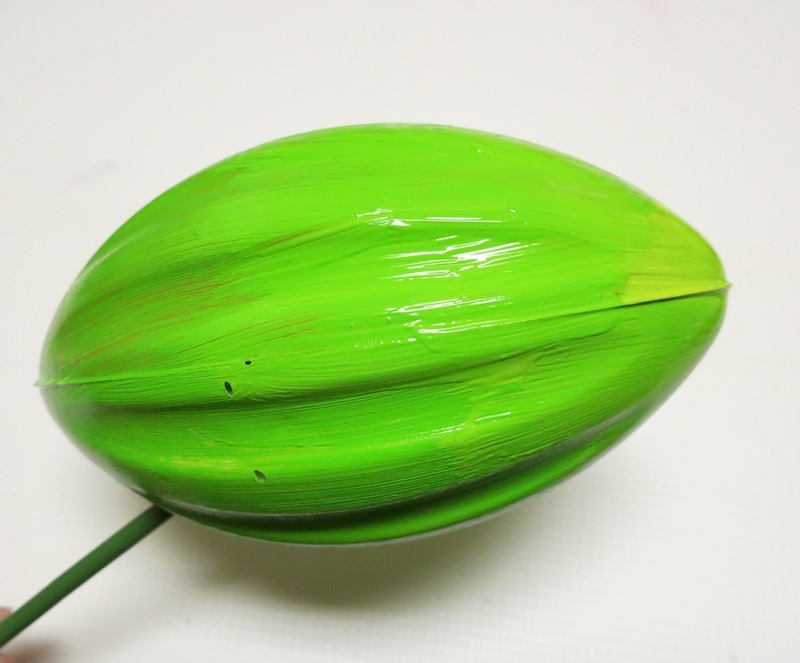 Paint the football with a lime green multisurface paint. 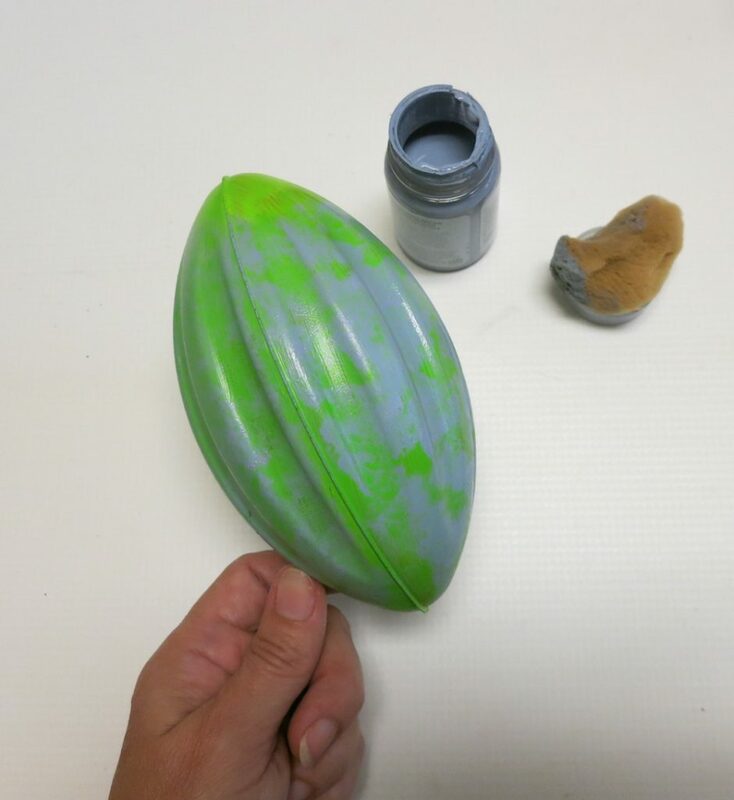 While the paint is still wet, blend a yellow-green paint color at one end of the ball where the mouth will go. Let it dry. 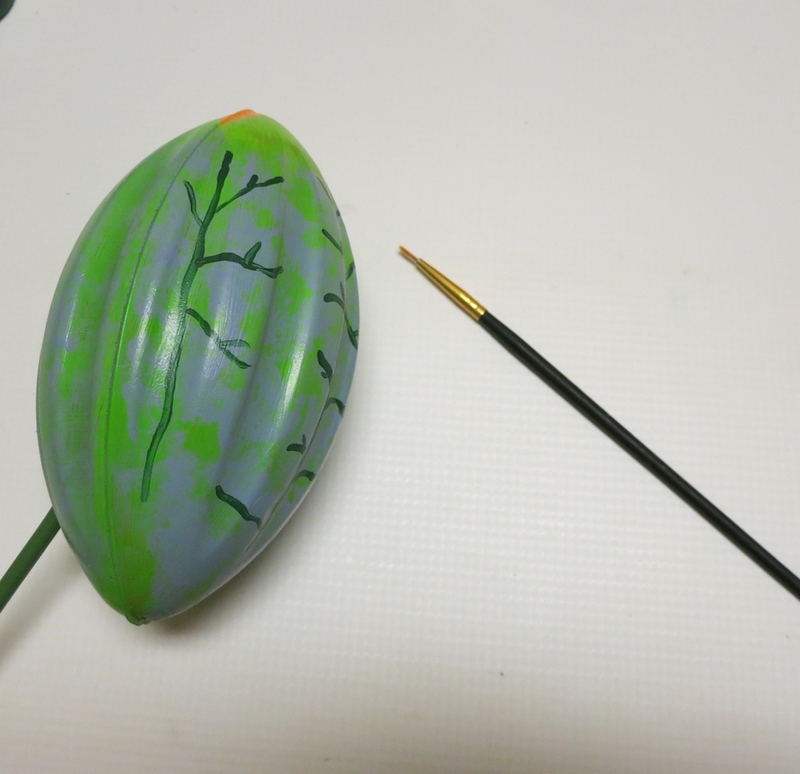 Use a sea sponge to dab a light purple color over the center and back of the football. 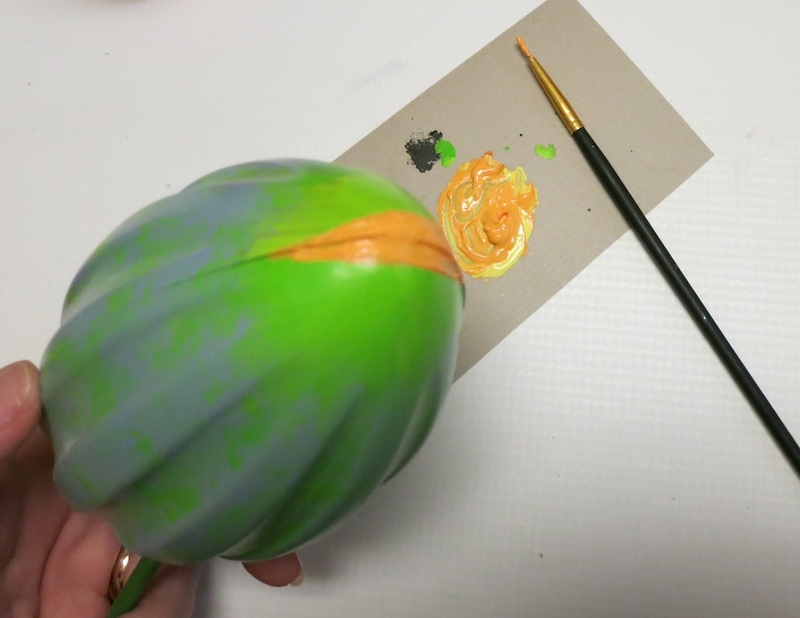 Blend orange and yellow paint to create a peach like color. Paint this on the front end of the ball to make lips for the mouth. 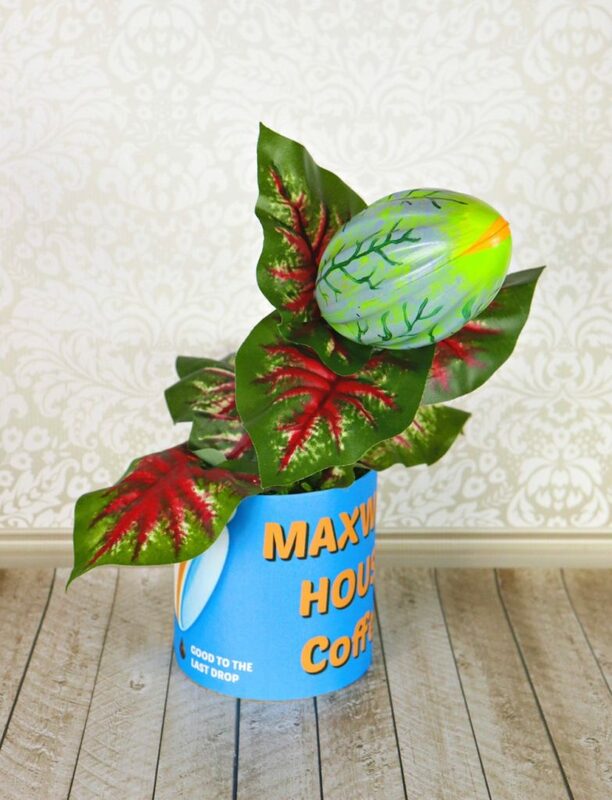 Use dark green paint to add the thin veins of the leaves on Audrey 2. Let it dry. 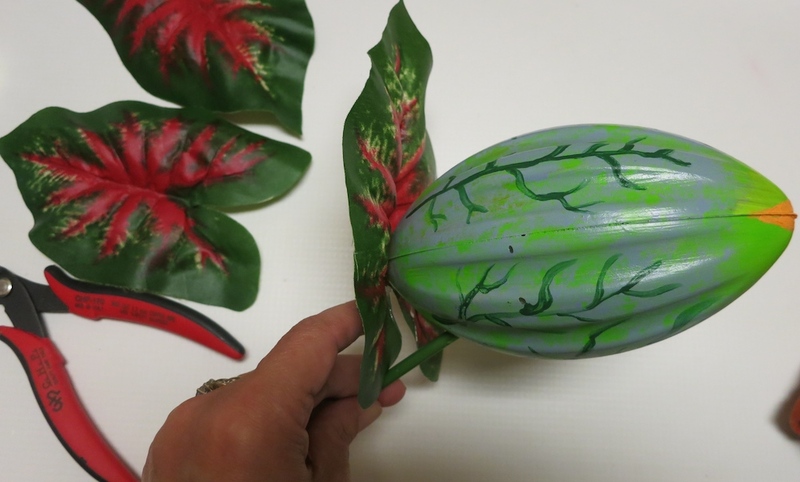 Cut three leaves to attach to the head. First hot glue one centered on the head, pointing up. Then glue two more on either side, slightly pointing down. 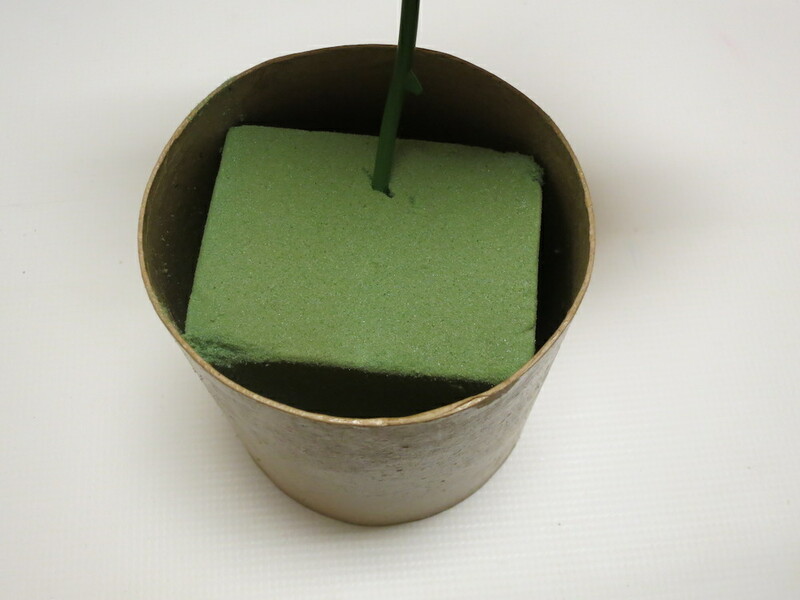 Place floral foam inside the container. Push the stem into the foam. Arrange other leaves in the container. Cover the floral foam with moss. 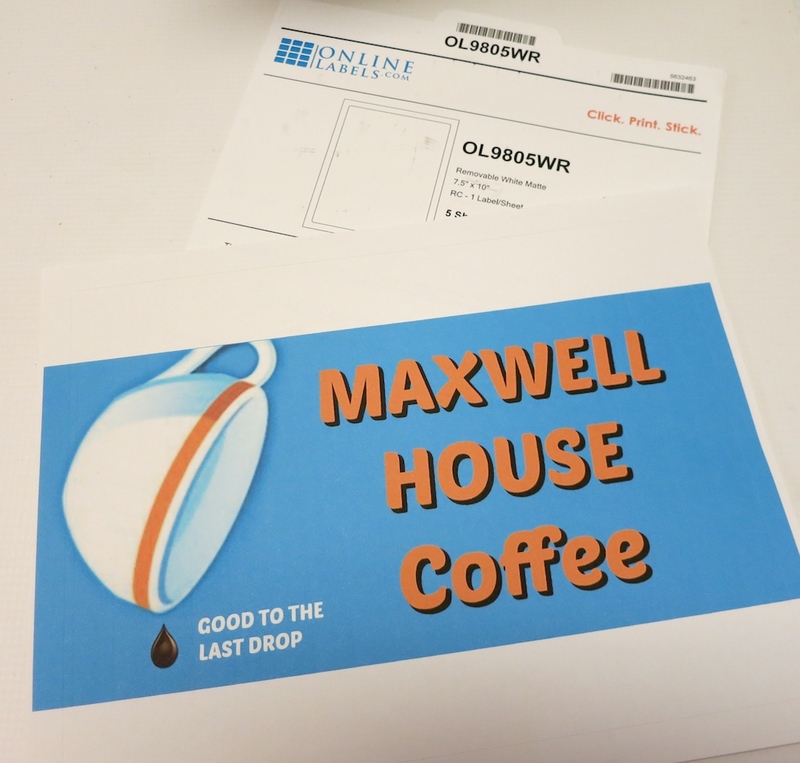 Print the coffee can sticker onto the printable label paper. 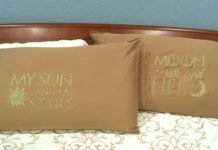 I love to use full sheet sticker labels from OnlineLabels.com because I can print my own designs and stick them on almost anything without waiting for glue to dry. 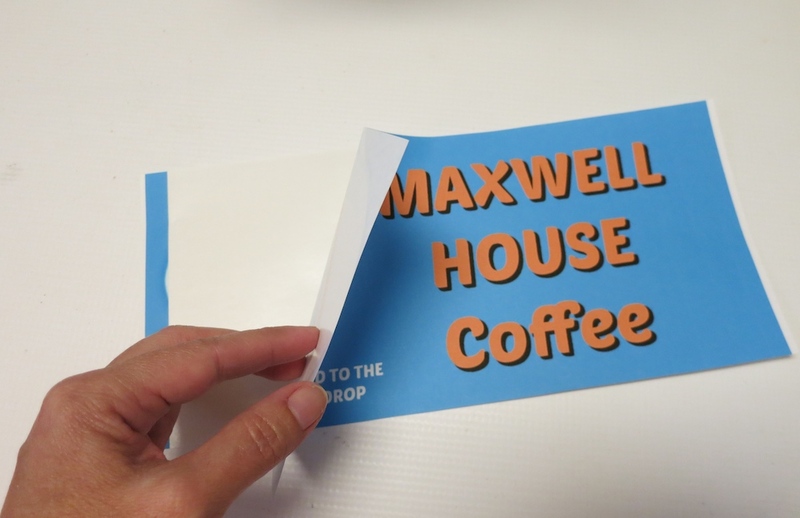 Just print and stick! 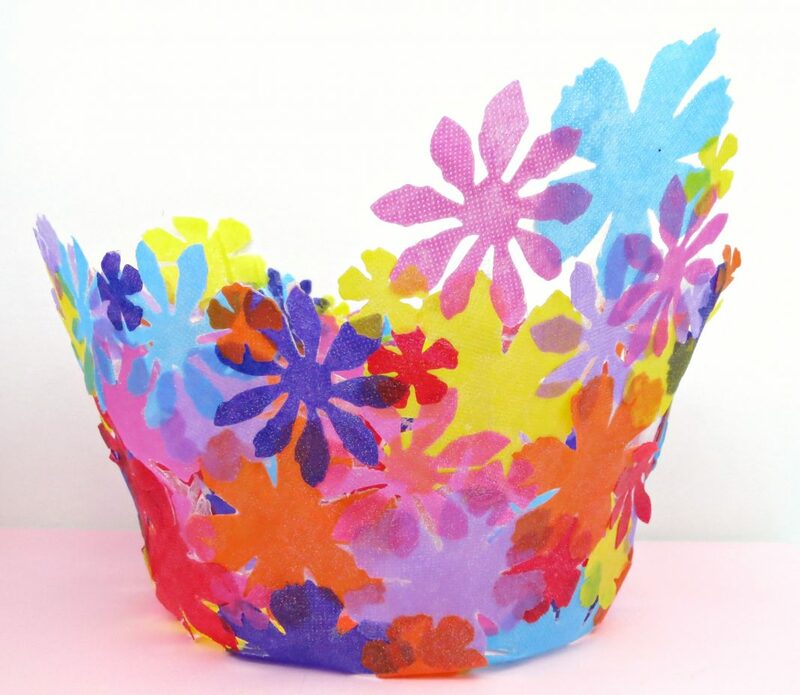 Peel it off the backing and stick it on the container. 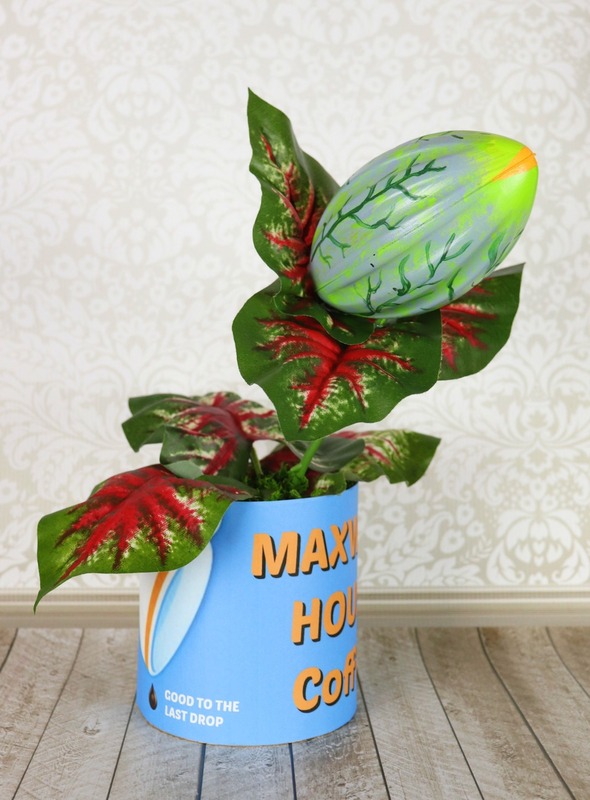 This Audrey 2 plant in the can makes a fun piece of decor, or you can use it as an accessory for a Little Shop of Horrors themed costume. 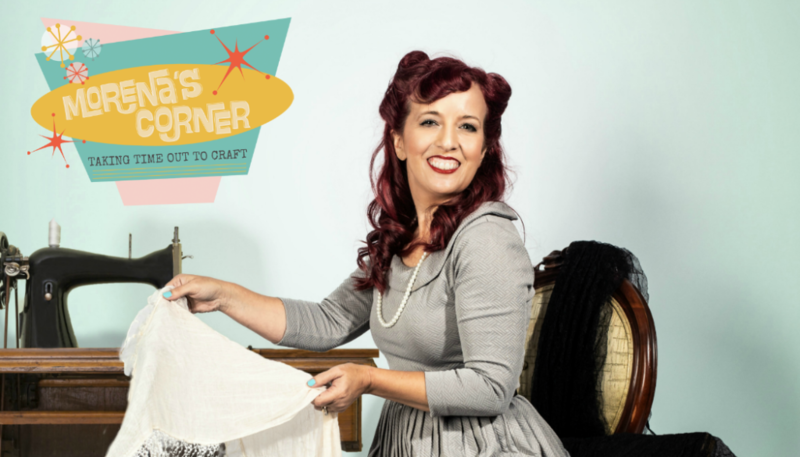 For more fun Halloween ideas, click HERE.